How are you today? Thanks so much for checking out my post. 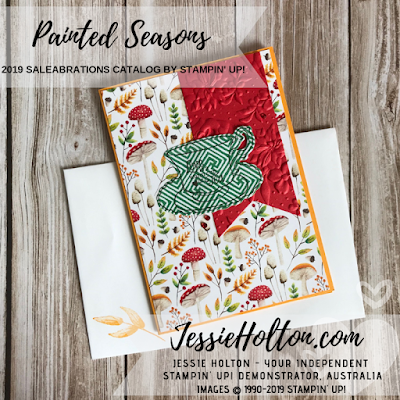 I can't believe I almost forgot to show you these cute cards I made at the start of the month! Am I going crazy? 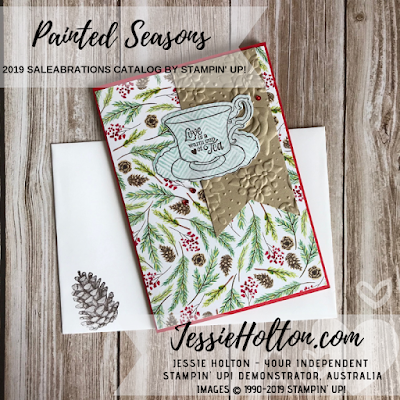 Have you already seen these? I was sure I blogged them earlier in the month haha! 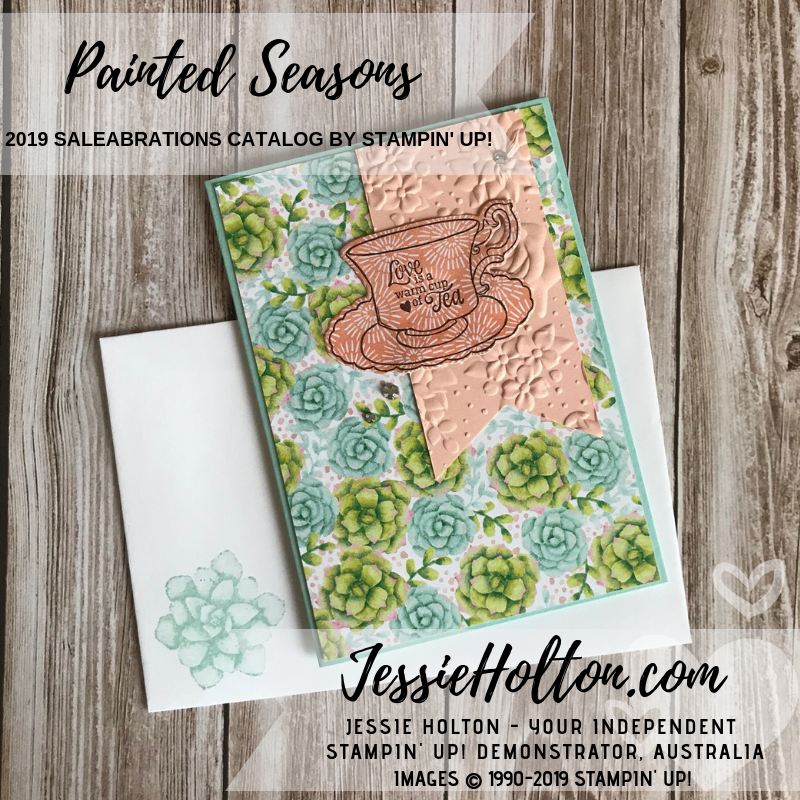 I made a bucket load of these because I just love that Painted Seasons Designer Series Paper & isn't the Tea Together stamp set just the cutest? 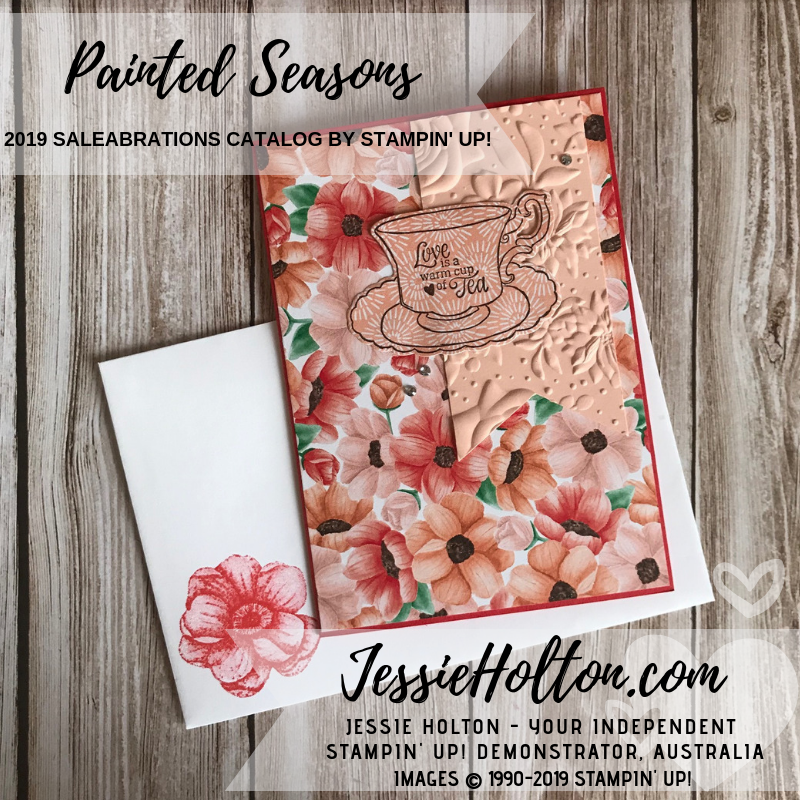 You would have received one of these with your second Sale-A-Bration release update, if you're one of my customers. Or you might have received one as a RAK card. I also sent a bunch of these to my team members. 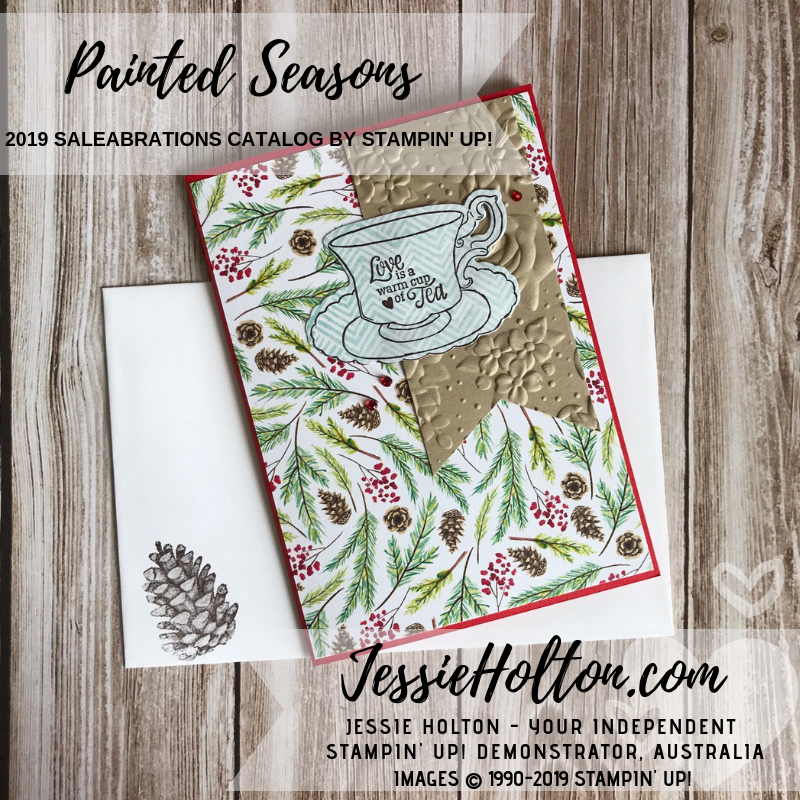 These cards are showcasing a bunch of the Sale-A-Bration products - the Painted Seasons Stamp Set, the Painted Season Designer Series Paper, the Country Floral Embossing Folder & the Tea Time Framelits. 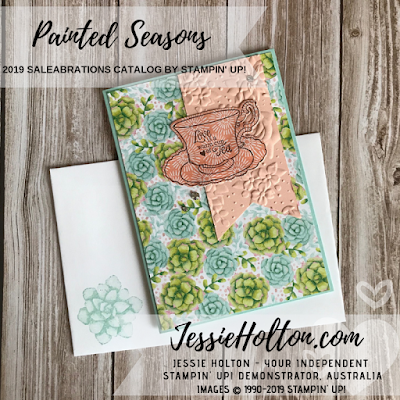 Of course, you can also get the coordinating Tea Together stamp set from the current Occasions Catalog & I have stamped the tea cup & sentiment in Early Espresso. 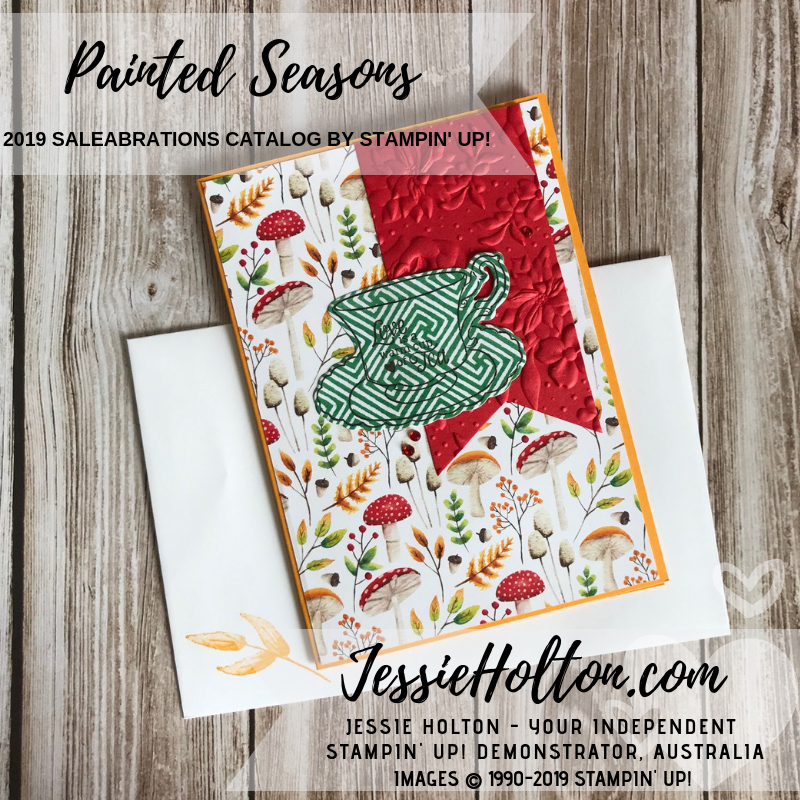 Too many Sale-A-Bration items to choose from & not enough time to get them all? Don't worry, the Country Floral Embossing Folder & the Tea Time Framelits will be available to purchase in the new Annual Catalog coming out in June.